As the Reddot Design winner of 2011, the Sonoscape S20 perfectly shows its intelligent and efficient user-friendly ergonomic design.This system is featured with innovative ergonomic designs, latest ultrasound technologies, and enhanced workflow. It is specially designed for full range applications, including Radiology, Cardiovascular, OB/GYN and others. 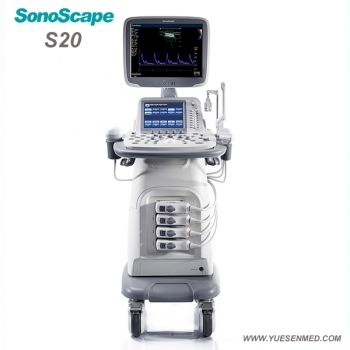 Sonoscape S20 , with good price, will provide the most efficient work flow unlike any you have ever experienced before. You can choose from SonoScape’s probe family:Convex, Phased, Linear, Transvaginal, Transrectal, Bi-plane, TEE, Intraoperative and Volumetric probe, etc. The High density transducers frequencies can range from 1.9 to 16 MHz. The high definition image quality is another strength for the Sonoscape S20. Thanks to the innovative technologies used in the S20, you will be more confident about diagnosis, even on the most difficult patients! 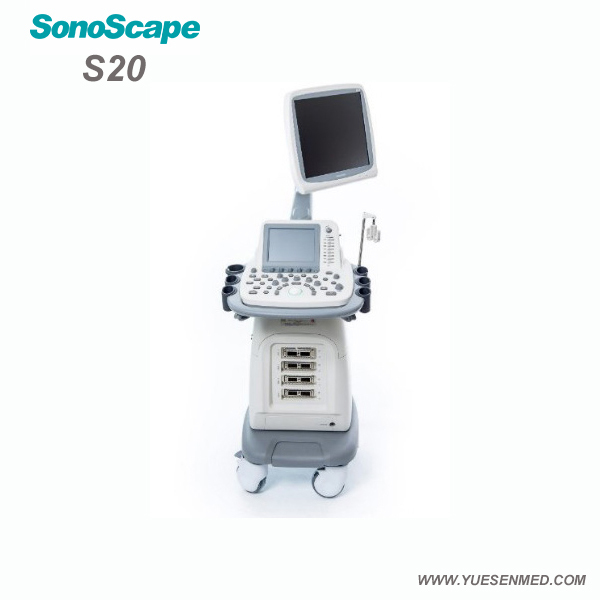 HQNF technology used in the Sonoscape S20 can efficiently reduce Doppler signal noise of the ultrasound system, providing improved color flow and spectral Doppler images. 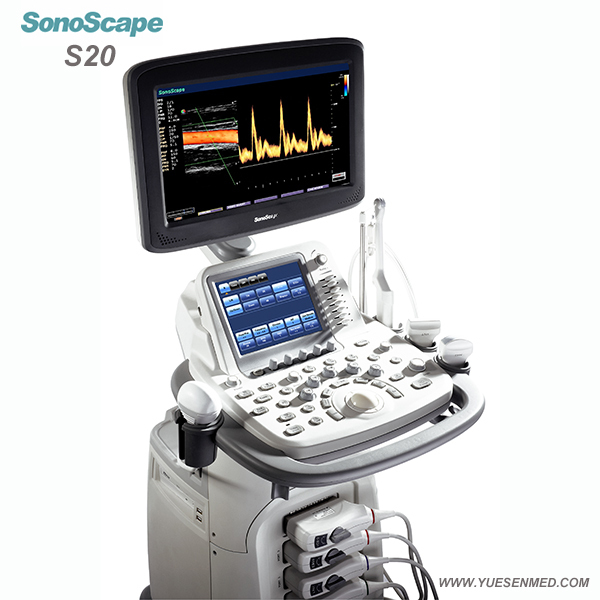 Multi-beam parallel processing technology used in the Sonoscape S20 can enhance lateral resolution and time resolution, so that it can dramatically help the diagnosis of cardiovascular diseases and also lay a good foundation for real-time 3D imaging. The u-Scan technology of SonoScape uses real-time image processing algorithms to eliminate speckle and noise artifacts, enhancing tissue margins and borders by correcting discontinuity between different regions. Allowing improved visualization of real tissue information. M-Tuning is a one button image optimization technology used in the Sonoscape S20, providing you quick B-mode and Spectral Doppler image optimization by clicking one button. Shortening the examination time and ensuring optimal results and a more accurate diagnosis. 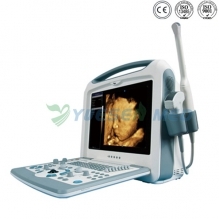 This premium technology is often used in obstetric ultrasonography, providing real time three dimensional images of the fetus. Many high-end features, such as multi-slice and clip plane, will help you make detailed and accurate analysis. Endocavity transducers can provide a wide angle view of up to 200 degrees, in order to get a large imaging area without moving probes. 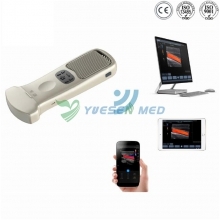 The temperature of the transducers is displayed on the screen automatically, to ensure the diagnosis is safe for the patient. The professional measurement packages in Cardiology, Radiology, OB/GYN, Urology, Vascular, Small Parts, MSK, and more provide professional analysis tools，which are automatic, intelligent and easy to use. 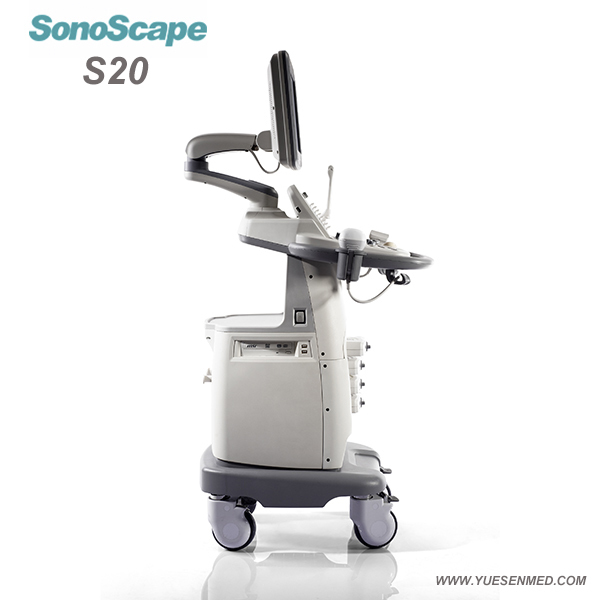 From technology to imaging, from archiving to reporting, the Sonoscape S20's innovations will bring all the best for clinical practices.